These words are taken from an Act of Consecration of the Human Race to the Immaculate Heart of Mary, made in October of 1942, during the bitter fighting of World War II. The war had been going badly for the Allies, with hardly any significant victories. Shortly afterwards, in the battle of El Alamein, the German invasion of North Africa under General Rommel was repelled. In the Pacific, a crucial battle of Salomon Island was won by the US forces a few days after the consecration. The downfall of Stalingrad began a few days later as well with the encirclement November 19, 1942. Stalingrad surrendered on the Marian feast day, February 2, 1943," the feast of the Purification. It can be said that no significant victories were won before the Consecration, and that no significant military losses followed it. In order that Our and your prayers be more readily answered, and to give you an especial attestation of Our particular affection ... just as not many years ago We consecrated the entire world to the Immaculate Heart of the Virgin Mother of God, in a most special way, so now We dedicate and consecrate all the peoples of Russia to that same Immaculate Heart, in confident assurance that through the most powerful protection of the Virgin Mary there may, at the earliest moment, be happily realized the hopes and desires which ... all those of upright intention, have for the attainment of true peace, of fraternal concord, and of rightful liberty for all: in the first place for the Church, so that through the mediation of the prayer which We raise to heaven in union with you and with all Christian peoples, the saving Kingdom of Christ, which is "a Kingdom of truth and of life, a Kingdom of sanctity and of grace, a Kingdom of justice, of love, and of peace," may triumph and be firmly established in every part of the world. Now, the consecration of Russia is something which our Lady is said to have asked for at Fatima in 1917. We have this on the testimony of the three children to whom our Lady appeared--testimony declared "worthy of belief" by the bishop of Leiria on 13 October 1930 after years of careful investigation. The war [WW-I] will end but, unless people cease to offend God, another, even worse, will begin...When you see the night lit up by an unknown light, then know that it is the great signal that God gives you that he is about to let mankind to choose punishment for its crimes by war, hunger, persecution of the church and the Holy Father. To prevent this, I shall ask for the consecration of Russia to my Immaculate Heart and a Communion of reparation on the first Saturday of each month. If my appeal is heard, Russia will be converted, and their will be peace. Otherwise, its errors will spread about the world, promoting wars and the persecution of the Church. The faithful will suffer martyrdom. The Holy Father will suffer grievously. Several nations will be annihilated. 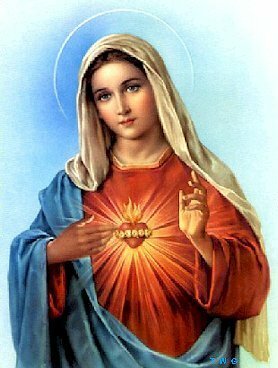 But in the end, my Immaculate Heart will triumph. The Holy Father will consecrate Russia to me. It will be converted and an era of peace will be conceded to the world. Now, there are those that say that our Lady's request has not been carried out--that Russia has not been consecrated to the Immaculate Heart. They reason that Pope Pius' consecration in 1942 was too broad, referring to the world and not to Russia specifically. Some reason that the consecration in 1952 was made by Pope Pius alone and should have been made by the Pope and all the bishops. They reason that an attempt made by Pope Paul VI on November 21, 1964 at the third session of Vatican Council II, and another by Pope John Paul II on March 25th 1984, also missed the mark since they, like Pius XII, referred to the world instead of to Russia. I guess that is something like telling your wife: "Of course I love you honey, I love all women!" It has always seemed to me that since the Popes are the final arbiters of any private revelation, they would also be the ones to determine if, when, and how, such revelations are to be acted upon. Some point to the break up of the Soviet Union as evidence that the consecration bas been properly performed. But they may be overly optimistic for the "errors of Russia" continue to spread throughout the world. At the moment, the "jack-booted" variety of Communism seems to be in retreat in much of the world, but the intellectual variety of Communism is surely alive and well. Indeed, the "errors of Russia" have become the "errors of Western Civilization" or maybe even the "errors of Christendom." Marxism's attempt to destroy civilization is based on the destruction of human rights--the "unalienable rights" with which men and women are "endowed by their Creator." Everywhere, the rights to life, liberty, and property are under attack. The role of women is demeaned to make them interchangeable with men as laborers for the State. The right of parents to educate their children is constantly threatened. The very institution of the family is held in disrespect. Morality is ridiculed or even treated as a criminal infringement of modern people's "rights." The Church and the State--the very institutions we expect to uphold the moral law--are often institutions for breaking that law. It is also very difficult to think of this as an "era of peace ... conceded to the world." We have been in a nearly perpetual state of war for many decades. Nations that we could name when we were children no longer exist. Men, and now women, march off to war--many do not return, but, too often, they seem to be the lucky ones, when compared with those who return with shattered minds and bodies. I don't know whether or not the Consecration of Russia to the Immaculate Heart of Mary has taken place. If it has not--given the popularity of the "errors of Russia" with modern churchmen--I would not expect it to take place anytime soon. But God and His Blessed Mother can make the impossible seem easy. We can pray, but the actions of the Pope and the bishops are out of our hands. (Papal Documents on Mary (Milwaukee: The Bruce Publishing Co., 1954) 249-251.